Outcomes of Lima Climate Talks: Shall They, if They May? The participants of the recently concluded UN Climate Talks in Lima, Peru, eventually managed to come to terms on the draft agreement. The deal that emerged early on Sunday found a solution by changing a single word – “shall” to “may”, with regard to the obligations of the Parties. Environmental NGOs do welcome the progress of the negotiations, but believe there will be no real progress without fleshing out the text with something more specific. 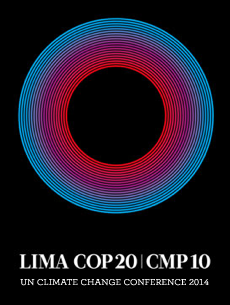 The COP20 crescendoed by adopting the Lima Call for Climate Action. The document’s four pages give an outline of the new agreement and describe the actions that countries are to implement by 2020. The Lima Call has a 40-page annex titled “Elements for a draft negotiating text”. The rough draft of the new climate treaty contains paragraphs on emissions reduction, adaptation, and finance, among others. The concept of loss and damage, a very important issue for developing countries that determines the overall approach to adaptation funding, secured its place in the text. The document prioritizes assistance to the most vulnerable nations by the developing countries and mentions the ‘complementary support by other Parties’. This new wording replaced the old formula about the developed nations and others ‘in a position to do so’, which was strongly disliked by the developed and the strongest developing countries, unwilling to compromise on this issue. At the same time, the issue of loss and damage did not appear as a separate task, as it was supposed to, according to the decision of last year’s Conference of Parties in Warsaw. This fact left the least developed and most vulnerable countries, as well as environmental organizations, extremely disappointed. Yet for many participants, the very consensus reached at the negotiations was the most important outcome of the COP20. Until the very last moment, it seemed that the Parties would not come to an agreement due to numerous internal contradictions and conflicts. However, the consensus was reached one day late, and there is hope that the Parties will be able to keep on moving forward, even if at a slow pace, instead of blocking the process due to differences in their positions. The world’s largest greenhouse gas emitters, such as China, the US, and India, called the Lima Conference ‘a success’. An EU representative, in their turn, explained the weak negotiations progress by saying that it was very difficult for the current generation to act for the sake of the future ones, which is, by the way, the whole point of the new agreement. Russia called the final text ‘a workable basis’, even though the country itself was slowing things down every once in a while, while constantly making a point about unacceptability of such a slow-mo process and decisions being made at night under time-constraints and a lot of pressure. In the name of consensus, the negotiators had to sacrifice a large part of the agreement’s content. The text was simplified, and the passages upon which there was no consent, were eliminated. In the draft version, the legal status of the future agreement is omitted. Neither the process of collecting $100 billion per year by 2020 for the Green Climate Fund, nor the future numbers for 2025 and/or 2030, are clarified. Representatives of certain developing countries say that the guarantee of $100 billion is the precondition for the future treaty’s adoption. One of the key features of the adopted Lima text is that the developing countries, along with the developed ones, shall commit to reducing their GHG emissions, while in the Kyoto Protocol, only the developed countries had the obligation. Lima’s decisions do not differentiate the Parties according to whether they belong to Annex 1 of UNFCCC or not, which was one of the main causes of disagreement. However, the richer countries may now help the developing countries financially and technologically, for instance, by supporting their adaptation and emissions reduction programs. By the end of March 2015 (and then June, in case they fail to meet the deadline), the Parties will have to announce their INDCs (Intended Nationally Determined Contributions), including specific GHG emissions reduction targets, etc. Based on that, the cumulative effect of the announced measures will be estimated. Now, many scientists are afraid that the announced effort is not going to be enough to limit the global temperature rise within 2 degrees Celsius. Taking into consideration the current national GHG emissions parameters, the sum dynamics of the top-20 biggest economies (China, the US, EU, India, Russia, Japan, etc.) for the period until 2030-2050 largely corresponds the global scenario of a +4 degrees warming. In the text of the new agreement, it is noted that a significant gap still exists between the emissions cuts that are necessary for keeping the global temperature growth within 2 degrees, and the announced plans. Thus, the contributions are expected to be more ‘progressive’ compared to what is currently being implemented, which means that the Parties’ commitments should be more ambitious than they are now. The final resulting document of the Lima Talks is just a working paper, a rough draft of the agreement due to be adopted in Paris next year. Some observers think that this was the only feasible option, while some believe it only meant leaving the most important issues for the future. Many call the document ‘poorly defined’ and ‘vaguely comprehensible’. A lot of room is left in it for the Parties to maneuver while preparing their INDCs. Many decisions on a number of crucial issues (such as the gap in financial commitments of the developed countries) are left to be dealt with at the next COP in Paris. Some experts believe that since a consensus-based version of an agreement was adopted in Lima, the willing of the world’s largest economies to seal the deal in Paris is confirmed. Environmental NGOs acknowledge that a certain step forward was made, but believe that the next step taken by the governments should be the voluntary yet ambitious commitments to reduce the countries’ GHG emissions, adequate to the climate challenge.